Well, it’s hump day for volunteer appreciation week and as everyone who manages volunteers knows, it is a wonderful, hopeful, stressful, physically and mentally exhausting, go without much sleep week. Behind the scenes, volunteer leaders everywhere are working long hours so that every volunteer receives the recognition they deserve. If you wear a wristwatch, take a good look at it. This is you: On the outside, the good old watch reliably tells you whether it’s exactly the time to phone Virginia, the volunteer who left you a voicemail to call her this morning at preciously 10am, because after that, she is unavailable. (And she means it, you’ve discovered from having called her five minutes after her specified time on another occasion). But back to the clock. On the inside, all these gears and wheels are spinning their little metal hearts out, interlocking with one another in a never sleep mode that makes the reliable watch look so simple on the outside. 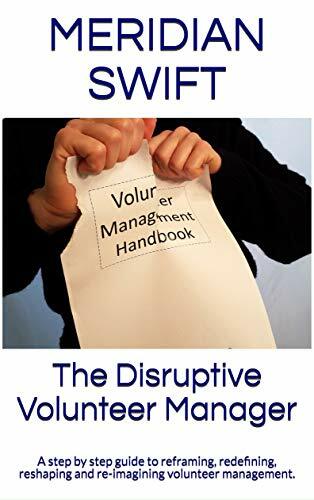 That is you, the volunteer manager. When your volunteers are pleased with all the glittery stars hung everywhere, it’s due to you enlisting your family in a “family craft day” of cutting and glueing glitter on one hundred stars. (Note to self, glitter will never come out of tweed furniture and the statement “I’ll make it up to you” will cost you dearly one day). When the volunteers are swooning over the delicious home-made cupcakes, it’s due to you staying up until 2am to learn through YouTube how to make each cupcake look like a trophy. (Note to self, pick a round object next year). When the volunteers see the huge cardboard card signed by all the staff, it’s due to you chasing everyone down for weeks in advance. You even went so far as to show up at staff member Fred’s door because he was home recuperating from a bout of H1N1 flu. (Note to self, keep masks in the car, just in case). When the volunteers are snapping pictures by the “Tree of Thank Yous” in the common room, complete with a variety of leaves sprouting sayings of gratitude, it’s due to you gathering leaves of all types from local forests and parks on your weekends when you should have been helping your daughter do her homework or your significant other clean the gutters. (Note to self, poison oak is itchy as heck and the offending oils need to be scrubbed out from under the skin). When the volunteers are all abuzz about that mention on the local radio program, it’s due to you stalking the morning drive radio host all over town trying to get just a moment of his time. When you finally accosted him outside the gym he attends, you mumbled something about “volunteer power”, but somehow he agreed to give a shout out to your volunteers, and even though he mispronounced your organization’s name, it was a win-win. (Note to self, inform marketing of any publicity requests you make because they are not happy that the morning drive guy said “The Sleeze Organization” instead of “The Seize Organization.”). When volunteer Joyce feels special because she got a hand delivered invitation that somehow the post office lost (wink wink), it’s due to you finding the unfinished address labels in the desk drawer. You called everyone on that list just to be sure and made up some lame story about the invites being lost but you couldn’t get through to Joyce’s voicemail so you drove 30 miles out there because just last week, Joyce was gently reprimanded by a staff member and Joyce is very sensitive and somehow you just knew that if she didn’t get this invite, she would feel completely unwanted and so you went after work when you had this great dinner date set up and instead you ate a cold burger on the way and dropped mustard on your brand new cream colored shirt. (Note to self, uhhhhhhhhhhhhhhhhhhhhhhhhhhhhhhhhhhhhhhhhhhhhhhhhh, nope I have nothing). 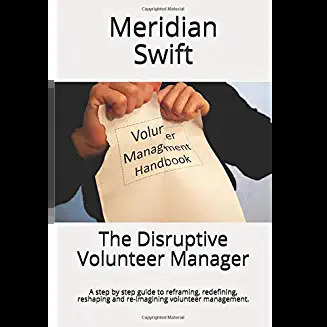 There you have it-you are the watches of the world of volunteering, the reliable, always working, always the main spring of motion that makes a volunteer feel connected and appreciated. Happy Volunteer Appreciation Week to all the wonderful volunteers! And to all the volunteer managers out there who work their gears off to make sure the volunteers are appreciated? It’s 5 o’clock somewhere. A nice Chardonnay or a good pint of Lager or cup of tea is waiting for you on Friday! May your inner wheels and the tension in your springs keep on ticking over. And have a great week knowing how happy your volunteers are in their work. Thank you both! Every day, volunteer managers are hard at work creating meaningful experiences for volunteers which translates to making a difference in countless lives around the globe!